WHERE IS NOSARA, COSTA RICA? Recently named the Happiest country in the world! This is a land of Pura Vida where Ecological Integrity really matters. 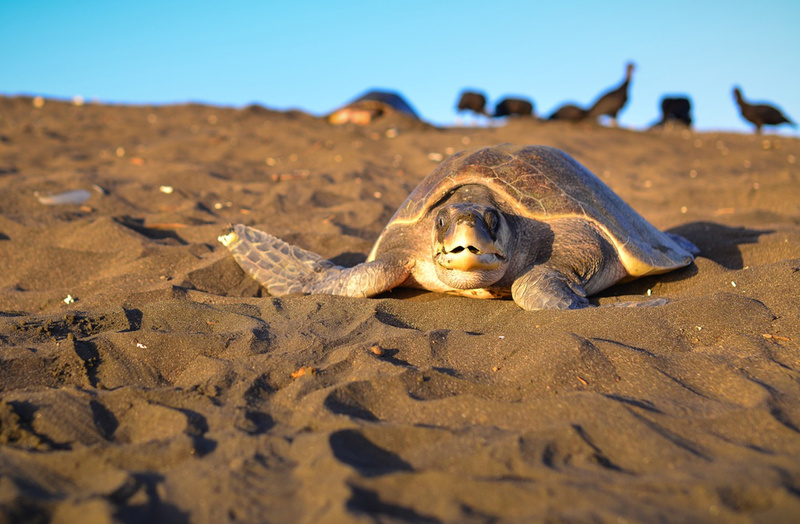 Costa Rica is like a theme park of biodiversity—the highest on the planet to be exact containing 6% of the world’s plant and animal species—each area of the country has a unique feel, flavor and local culture that makes journeying throughout the Central American paradise exciting and fresh no matter where you decide to go. And Costa Rica has it all—from lush cloud forests to impenetrable jungle, to white, black and pink sand beaches nestled against inviting crystalline waters, overflowing mineral hot springs, mystical, active volcanoes, howler monkeys, rainbow-colored parrots, wild jaguars, giant iguanas, insects and more varieties of exotic, mouthwatering fruits than possibly anywhere else on the planet. The spirit of Pura Vida means they welcome you as if you were family. 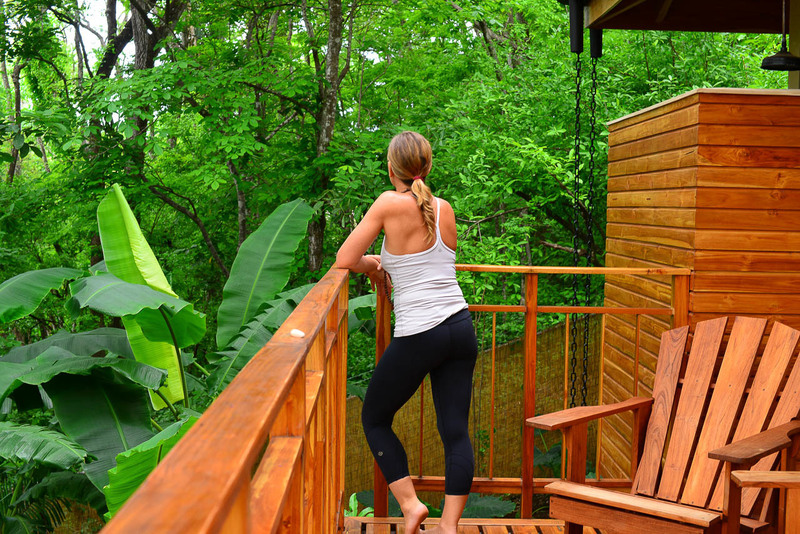 Beautiful Costa Rica has been one of the world’s top 10 yoga destinations throughout the past years. We have chosen Nosara, which in accordance to Lonely Planet is “a cocktail of international surf culture, stunning back-road topography, jungled microclimates, and yoga bliss,” as the location for our Bodhi Tree Yoga Resort. We are 0.5 km away from the Nosara Wildlife Sanctuary at Sibu, 3.2 km from Nosara Adventure Tours, as well as we are 4.6 km away from a safari surf school. Our resort offers you a lot more than yoga, it is the place where you can celebrate nature like you never did before, the place where you can read, meditate and simply relax. For your stay at Bodhi Tree we have designed rooms and facilities; from 26 Bali style rooms, Spa, Juice Bar to an open space restaurant offering you a variety of healthy, organic and fresh food, that meet all your needs and making it our job that you worry about nothing but embracing the beautiful surrounding. The community resides along the coast with 3 unspoiled stunning beaches – Playa Guiones, Playa Pelada, and Playa Nosara – with private houses, little hotels, and excellent restaurants hidden into lush tropical greenery. Despite having one of the last locations with unpaved roads in the country, Nosara’s wonderful lack of development directly on the beach makes it special. Known as one of the most sophisticated beach towns in Costa Rica, this small but special town has a lot to offer. Travelers from all over the world enjoy the pristine beaches that surround it. This area has a huge passion for the protection of the national parks system which makes the place unique for its hundreds of acres of protected forest. The community is exceptional and united. The local citizens work really hard keeping the beaches clean. There is also a big drive for ecotourism, sustainability and recycling like no other town in the country. This sets the perfect example of a planned developed community. The natural beauty, way of life and vibe became a dream come true for hundreds of families that chose to live a tranquil and relaxed life. Parents have the opportunity to immerse their children in a more organic way of living in nature. Showing respect and loving nature becomes one of the most important parts of life. Being woken up by monkeys; eating healthy and real food, playing outside, enjoying wonderful bilingual private school options and learning to respect different cultures, the children grow up with a real sense of life. Throughout the three-week teacher training immersion, you will have plenty of time to relax, rejuvenate, play, and explore Costa Rica. A multitude of spa services including massage, facials, body treatments, manicures, pedicures, and reiki. Please see the full list of services + pricing here. 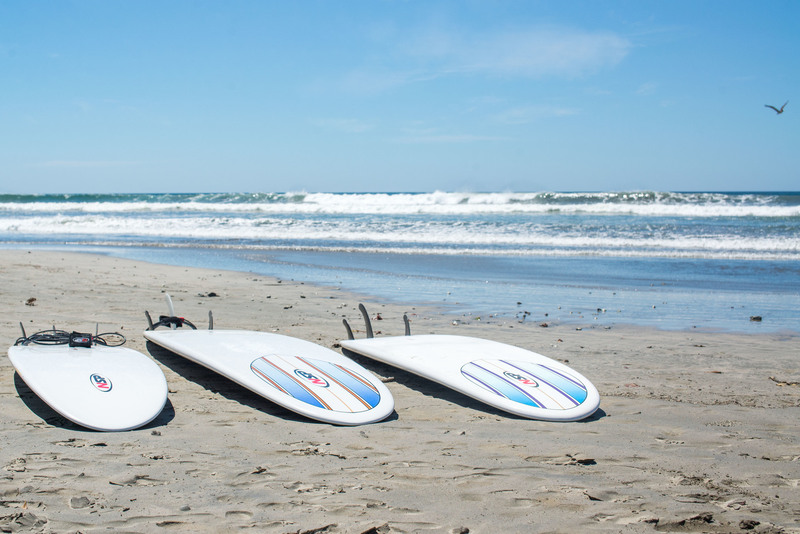 Daily surf lessons open to all levels. Bodhi Tree is conveniently located in one of the best surf towns so that you can enjoy amazing year-round waves! Please click here for more information. Fitness facility — continue to build functional fitness that will compliment your yoga practice. Please click here for more information. A juice bar with chakra balancing juices + smoothies. A boutique featuring local + international designers — the perfect spot to pick up locally made essential oils, beach + yoga wear, and accessories. The Bodhi Tree serves fresh + wholesome food options, with accommodations for dietary needs.